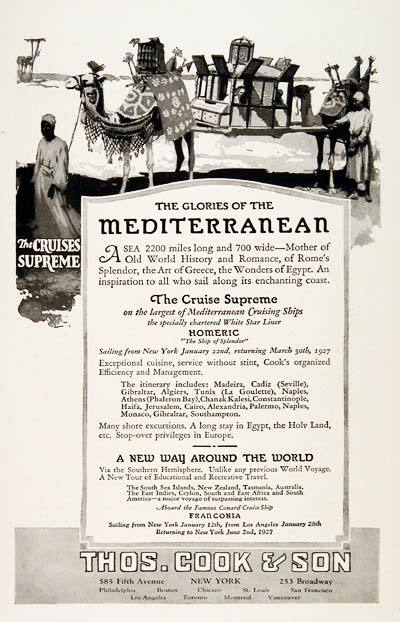 1926 Mediterranean Cruise adventure original vintage advertisement. Offers cruises aboard the White Star Line Homeric and Cunard Franconia. Organized by Thomas Cook Travel.